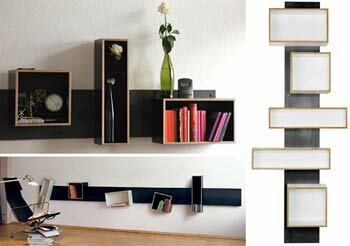 here’s a fun shelf that sticks to your wall with magnets. ohgizmo.com makes a good point in that any sort of electronics including “VHS tapes, cassettes, reel-to-reels and floppy disks” would be a bad idea to keep on the shelf. Though I don’t think I’m gonna be standing in line to buy these shelves any way seeing as they range from $1200-$2100 just for a shelf. You could probably make your own.